Happy Tuesday, my peeps! I’m so excited because my mom is on her way here! YAY! It’s so fun to have some time with her and she finally gets to see the new house! So, I have officially been doing Pure Barre for 30 days. 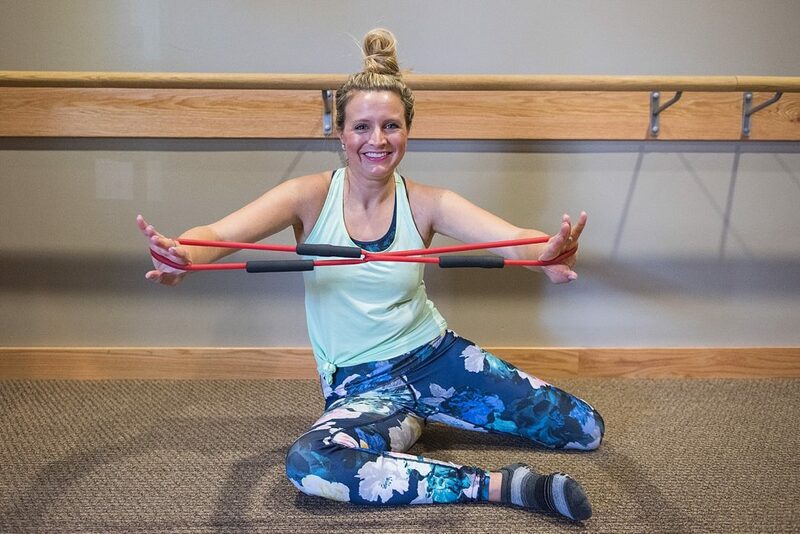 If you missed the post about my Pure Barre challenge, you can see that HERE. The one change is that we originally planned to do a 60 day challenge and now we have changed that to a 90 day challenge. I plan to give you 30, 60 and 90 day post updates. Today, I am going to give you my 30 day update. I want to start off by saying how life changing this has been for me. It might sound cliche, but it’s true. I have talked a bit about how high stress I am and how much I worry on a daily basis, on the blog before. I always felt too busy to really stick to a workout routine. I work a lot while the kids are in school, I also run a household and I also single parent a few days/nights a week. I honestly thought it would be too much to add in a workout routine, but I was wrong. It took me a bit to figure out the balance and let’s face it, I struggle with balance in general. What mom doesn’t? We are all trying to make it all work and I’ll be the first to admit, we are usually the person who gets taken care of the least. I’m sure you can relate. I’m not saying I was neglecting myself, but I’m saying, now that I’ve realized that I need an hour at the gym 4-5 days a week, I realize that in a way I was. So, not to get totally emotional on you, but I am truly grateful to have started this challenge. Yes, the physical changes are great and I am thrilled, but really, this hour a day has helped my stress and worrying SO MUCH. 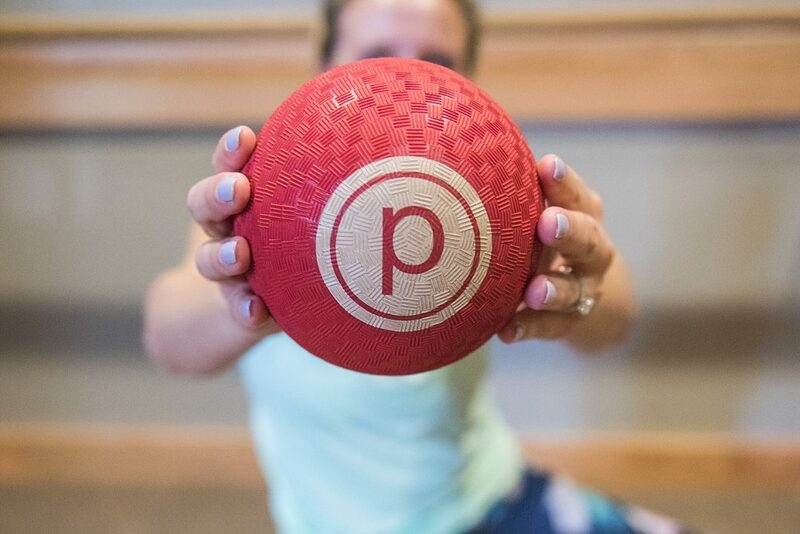 For one hour a day, I can focus on nothing but Pure Barre. I’ve tried numerous workouts and never been able to shut my mind off. In Pure Barre, I can and I LOVE it. It’s nice to have an hour a day that I’m not thinking about my to do list or who’s day it is for carpool or what we are having for dinner. This 60 minutes has helped me so! I originally planned to do 3 classes a week at Pure Barre. Once I realized how much I needed this hour to destress and really just needed this hour for myself, I upped my classes to 5 days a week. If I can’t do 5, I will try my hardest to do 4, but 5 has been my magic number and that’s what I strive for each week. Life happens though and we can’t always get to the gym as much as we want, but I sure do make the effort now. I find myself excited to get to class and see what our awesome instructors are going to teach us that day. I could not have done this without the owners of our Pure Barre, Jaimee and Heather. Their support and motivation has been so key for me. Same with the rest of the instructors. I’m truly thankful for all of the support I have received thus far. Everyone there wants me (and everyone else that comes) to get results. This is such an added bonus to going to the gym. I’m happy to call all of these girls, my friends now. One of the owners, Heather, always measures me, so that way we know it’s always accurate, since it’s the same person doing it every time. I was pretty shocked at these measurements. I didn’t feel like my waist was any smaller, but the measuring tape doesn’t lie. This was a huge motivation for me, to see these results. My 2 weeks pictures didn’t seem that much different to me, so honestly, I was not thrilled when I saw them. Especially because I had been working my booty off, literally! Ha! But, then I got the measurements done and realized that I was indeed making changes, it just might not be visible yet to me! Here is a side by side of my start, 2 weeks in and then 4 weeks in. 4 weeks is when I really started to notice a difference. The upper “fat pad” as I have always called it, is still there but not as pronounced and I am thrilled! This was such a trouble area for me. It’s still there and I still have a ways to go, but 30 days in, I am feeling stronger, happier and motivated! So, as you can see, I am seeing changes. As with anything, it doesn’t happen overnight, but with dedication and handwork, I am getting there. Just seeing the results at 30 days, I’m so excited to see what 60 and 90 days will bring! I know it’s going to be more of a struggle to get there over the summer, so I am preparing myself to not be able to take 5 classes a week! Ha! I wanted to offer you some motivation…if you are feeling not like yourself, for whatever reason, I suggest finding some sort of way to get some exercise in, a few days a week. I truly believe this is what I have been missing and am so glad that I love it so much. Yes, it’s hard. Yes, it’s time consuming. Yes, it’s a struggle to get there some days and balance it all. But, if you show up and try your best, thats all you can do and they always say if you can get to the gym, that’s half the battle! I am truly thankful to be on this journey and I really hope it inspires someone to take a leap and get back to exercising. It might just be the thing you are missing…like I was. As always, THANK YOU for your support and wanting to see these updates. It is so encouraging to read emails and direct messages and comments from those of you who can relate to where I was when I started this journey a month ago (POST HERE). I still have a ways to go, but I am thrilled with the changes 30 days in! Always thankful for you sweet peeps! XO! You go girl! Your results so far are amazing! Keep us updated! I teach Pure Barre in Lubbock, TX and have been for about 4 years. Absolutely LOVE this post! 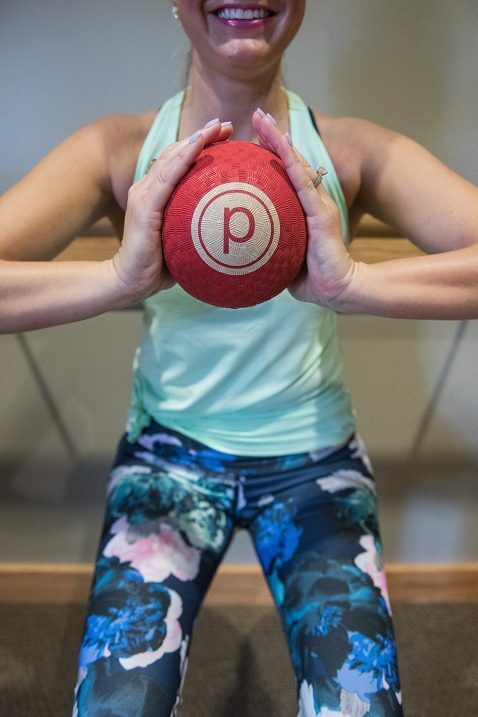 Awesome results and your description of Pure Barre is perfect. It really is the best in so many ways. ???? It’s so motivating to see such great results in a short amount of time. I mm trying to find a barre class near me- You are glowing in your most recent pictures!! keep going! ???????? Great job!!! I’ve always wanted to try Pure Barre! Have you changed your eating any, too? You look awesome! 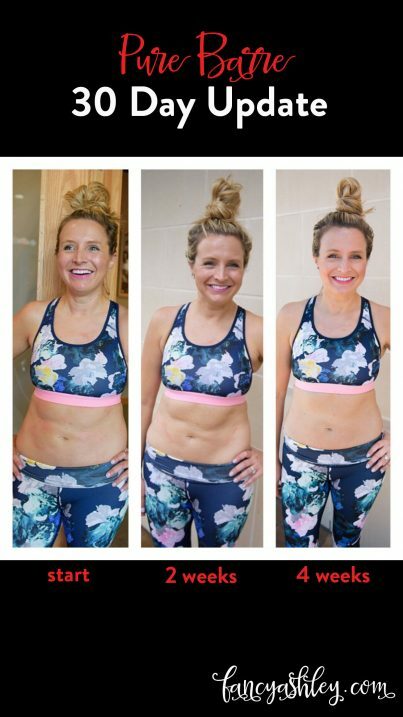 I did PB before baby #3 and although I have always been a gym goer, I really noticed my results from PB. Mine was most noticeable in my arms. You looked great before but your stomach picture is awesome! #goals !! My Pure Barre (in MN) is offering a week free to new clients and if you go 3 times that week, a discount on your first month!!! I love my 6am Pure Barre class! Well done! You look great. I’m starting my own similar 30 day exercise challenge. I’m so bad at committing to exercise but I feel if I give myself a 30 day commitment I might get so into it that I carry on. Fingers crossed! I love following this journey! This is awesome! Have you made any changes in your daily foods? I would love to hear what you eat each day to help make this journey happen! Wow!! You look fantastic! You can see the inches you lost! You looked great before, but must feel good to be getting so physically fit! Do you notice a difference in your clothes? Thanks for sharing!!! Congratulations on your accomplishment! Good luck in maintaining your balance. I was in the same situation (only with one child) and I literally had to learn not to sweat the small stuff. There are so many things out of our control. My number one job was to raise a healthy, self-sustaining adult. It’s interesting talking to him now (at 27) about his memories of childhood and what was important to him. Wish I’d have known all of that then! This is awesome! I have been wanting to try PB, just wish I had a friend (a stay at home mom friend) to try it with me! Most of my friends work a full time job! Can’t wait to see/ read your next posts about PB! Keep up the great work!! This is so great! I so need to do something like this to help with stress as well. I am older so my stress now is having kids in college and caring for elderly parents. I have stopped doing things for myself and have neglected my body which just makes me disgusted when I look in the mirror. We do not have a Pure Barre in College Station that I know of. I will look into it. Thank you for your post and your honesty. Well done!! I see someone already asked but I didn’t find a response so I figured I would chime in too. Wondering if you changed your diet or if these results are strictly from the classes? Thanks! You look so awesome! It’s so encouraging! It’s great that you are excited to go that many times a week – I definitely need motivation like that! Great job! OK, I am so happy to see this progress! You just motivated me to get back into the Pure Barre over here. I’m 5’2″ and basically the same as your starting measurements so now I feel like it won’t take long to see results in getting rid of this baby tummy. I would also be interested in a post or email about how you changed your eating habits. I can never get ideas from healthy workout blogs, I need real people who like to indulge now and then and have some cocktails, too!